Automated Techniques is a company whose mission is to be successful by effectively utilizing philosophies of high quality, advanced techniques, and customer service. Automated Techniques provides our customers with systems and services required to make operations more effective and profitable. We are able to provide our customers with either a small and simple fixture, or a complete design and build of a larger and more intricate machine. Automated Techniques is often called upon to modify or upgrade existing equipment. 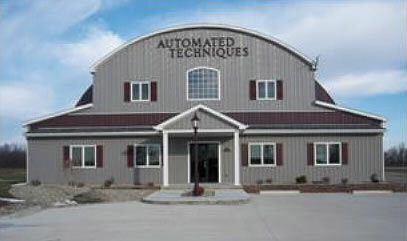 Automated Techniques encompasses a well rounded staff to meet or exceed our customers' expectations in quality, service and delivery. © Copyright 2004 - 2019 - Automated Techniques, LLC.